Welcome to my November recap! I thought the first week of the new month would be a great time to take a look back on all the blog posts of this last month. With the first week of December almost behind us, let’s take a look at the month of November here on A Geeky Gal! Normal Happenings hosted a huge collaboration called The Games that Define Us through out November (with some DLC still being posted in December). I picked Spyro, my favorite childhood game. I invite you all to read the 30+ entries and to support Normal Happenings in future collabs! 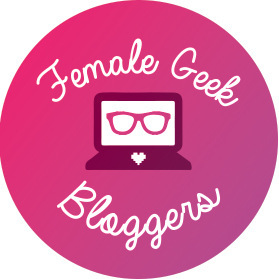 There’s a new category lurking around on A Geeky Gal! Monday Musings premiered late in November and will continue on for several weeks, featuring poems and short stories written by myself, past and present. I want wait to share more with all of you! My #asunayuuki trio! Just got the one on the left from my friends who went to #japan. I can’t wait for the second bookcase to go up in the Library! Maybe I’ll do a bookcase tour once it’s all done. PLUS all of the normal content you’re used to seeing!